There are many options for recording equipment. From the low end ($35) to the very high end ($10,000+), what you should use depends on a few factors. Are you going to be recording only speech/voice, or are you looking for musical applications as well? Is this a long term commitment, or just a brief appearance? And of course, what is your budget? Below are some guidelines and ideas, but there are many, many options available. Consulting one on one with an audio specialist can help you figure out what’s right for you. The most important thing is to not use “built-in” solutions. On board microphones that come with a laptop, webcam or video camera won’t give ideal audio results since they are designed for simplicity, not performance. Having a separate microphone will also allow you to position it closer to the source of the sound, which is a key part of getting good sound. You may already own a pair of headphones that have a built in microphone. Whether they are Apple EarPods, or more expensive headsets that are dedicated to gaming, headphones with in-line mics are a great entry level audio solution. They are typically affordable, with EarPods starting at $35, and you’ll get to utilize them outside of voice recordings scenarios. Many laptops and most smart phones come with headphone jacks that support in-line mics, and if you have a gaming headset, chances are it’s already wired up to your computer with either your computers microphone jack or via USB, so no additional hardware is required to get them working. These microphones are designed to get the best sound out of voices, but typically won’t work for musical applications. USB mics like the Snowball or Yeti by Blue are excellent solutions that will give superb sound for voice conversations. They are designed specifically for capturing voices, so you can trust that quality is going to be great. USB Mics require a larger investment ($100-$200), so you may want to consider how often it will be used. Since they are connected via USB, setup is relatively easy, as long as your inputs are set correctly on your computer. Connecting multiple USB mics can be tricky, making sure each one is set to the correct input, and you’ll have to make sure you have a USB port free for each mic or a powered hub since they draw power from the port. USB mics also tend to not work well in musical scenarios. There are as many traditional microphones available as there are recording situations (read: a lot). These mics can range in price, from entry level ($100) to super high end ($5,000+). Each mic is designed for a specific application, so choosing the right mic for your scenario is important. Handheld, “dynamic” microphones are great for live performance, but are typically not sensitive enough for voice conversation recordings. A large diaphragm “condenser” mic will typically give you the best results. These mics will also work well for a variety of musical applications, whether its singing, acoustic or amplified instruments. While you gain quality and versatility, traditional microphones require a bit more finesse in operating and will also require additional hardware to capture the audio into your computer. There are numerous audio interfaces available, most connecting via USB, and they range in price (again, $100-$10,000+). When selecting an audio interface, the biggest considerations and price difference relates to how many inputs it can accept and the quality of the preamps. Some cheaper interfaces that have different functions (like the Roland VT-3) have great features, but poor pre-amps that tend to distort the sound. You can also buy dedicated pre-amps to improve the sound before it gets to the capture device (more on that below). You’ll also need XLR cables to connect everything together, so factor that into your budget. You can always start small and expand/upgrade your rig later. Buying a pop filter will also help prevent noticeable pops from loud percussive syllables like “p” and “f”. Make sure the pop filter is positioned between you and the mic, otherwise it has no effect. No matter what audio solution you choose, your next challenge is how to place the microphone. Minor adjustments in your mic’s position can have drastic results. The first consideration is direction. 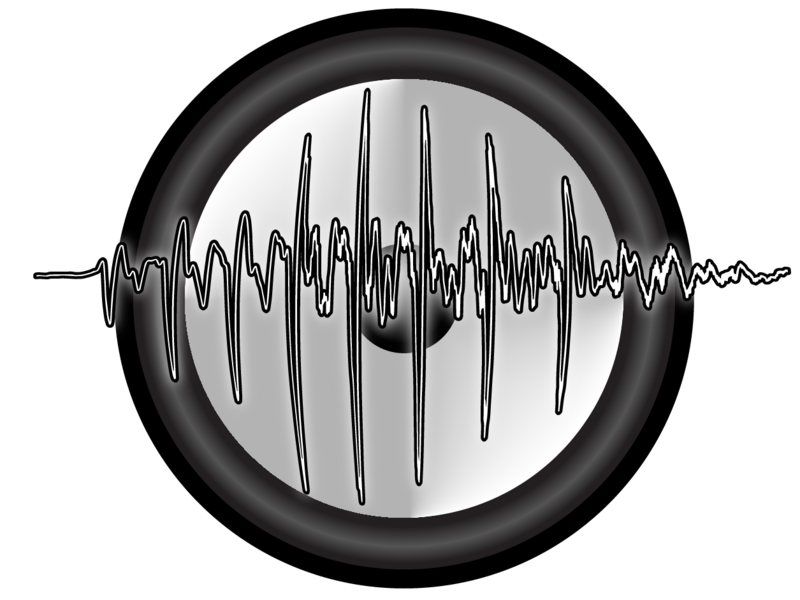 Most vocal mics have a pickup pattern that is designed to capture from one direction (or cardioid, since it looks like a heart shaped pattern). These mics will usually have an image or a symbol that indicates which direction is correct. When recording voices, having the mic hang from above will typically give better results, since your voice “bounces” off your chest. The clothing from your body, furniture, and flooring (if carpeted) will also help absorb some of the sound of the room. If your mic is low and pointing up to capture you, chances are it will capture a lot of reflections from the ceiling, causing your voice to sound “echoey” or “hollow”. One caveat to consider is if you use a keyboard during your stream/recording – ideally your mic will be pointing away from the keyboard to reduce its noise, but that may mean compromising in another area. Each mic has an ideal range in which they operate, but all directional microphones will be subject to the “proximity effect”. Essentially, the closer the mic is to the source of sound, the more pronounced the bass, or low end, frequencies will be pronounced. In some situations, you’ll want more bass and in some you won’t. Moving your mic closer or further will help you control that. Where your mic and station are setup in the room will also have a big impact on the sound. If your mic is close up against or pointed towards a wall, chances are you will pick up reflections from the wall. If you have carpet or padded furniture some of these reflections may be reduced. You can also add furniture blankets around your space to help absorb some of the reflections. These pads can be purchased for relatively cheap at Uhaul ($5 each) and can be attached or hung on one wall or around the room. These are not the most attractive, so you may want to have a system that allows you to remove them when not in use. You can also purchase some more attractive sound baffles, like foam pads or ones with printed designs, but these are typically expensive compared to their coverage. As for the placement, you’ll get the best results if they are located in the direction that the mic is pointing. Also consider things that make noise. If your computer is on top of your desk, chances are the mic will pick up the fan noise. Keeping anything that makes noise in a separate space or behind something that blocks the sound is ideal, but not always practical. You can still use the mic placement to reduce the noise by trying to have it point away from the source of the sound. This may need some reorganization of your desk. If you have an air conditioner or fridge in the room with you, consider turning it off – just make sure to turn it back on after! This may sound obvious, but I see so many streams and podcasts where people are not wearing headphones and therefore not listening to themselves while recording! All the adjustments in mic position mean nothing if you can’t judge the quality of the sound as you are recording. This is the equivalent of taking a photo without looking through the viewfinder, how can you compose your shot? What if your mic or some other step in the chain stops working during capture, how would you know? It is possible to only listen to your mic while setting up its positioning, but if you are not using headphones while listening to another person or a game while capturing, you risk having that sound bleed into your mic. This makes everything sound poor overall, so put those headphones on! As for which headphones to use, really anything is better than nothing – but some headphones are better suited for voice recording. Over the ear, sound isolating headphones will give you the best result and reduce bleed. These are not the same as “noise cancelling” headphones, which could work for this purpose but are generally overkill. Large headphones that create a nice seal around the ear are designed to prevent the sounds that you are hearing from spilling out into the mic. You can test out a pair of headphones by taking them off your head and playing some loud music through them. Press them together until each side of the headphones are sealed against each other. If you hear the music just as loudly, then they are not designed for recording. Even some very expensive open ear headphones that sound amazing are not best suited to prevent bleed during capture. In ear headphones can work, but most of them don’t provide sound isolation. Also, using in ear headphones for long periods of time can be uncomfortable and cause hearing damage. Once you have everything setup for capture, it’s time to consider what tools can be used to improve the audio once it’s captured. There are several ways of improving the sound but which one you use depends on your situation. If you are using a traditional microphone, you have the option of placing a pre-amp or other circuitry in front of your audio interface to improve the sound before its captured. All microphones require a pre-amp to work, but most audio interfaces come with one built in. These built in pre-amps can be weak and easily distort the signal, so take caution to not overload the inputs (usually denoted with a red “clip” LED). Tube pre-amps can be nice as they add warmth to the sound of your voice. The best pre-amps are ones that incorporate volume compression or limiting. By having a compressor or limiter in use, you can be assured that your mic will not distort (within limits). The second benefit from this kind of circuit is it boosts the overall loudness of your voice, making sure the audience can hear you consistently and clearly, even with other music or games mixed into the background. Since podcasts are on demand, you have the opportunity to improve the sound after the fact. If you are using a long-distance setup, where people are calling in using a tool like Discord, you’ll already potentially have some great sounding tracks as Discord (and other conferencing tools) typically have audio processors running on the voices. This is provided that all the parties are getting good sound to begin with (hint, send them a link to this article). If you are happy with the quality of the Discord audio, but want more flexibility when it comes to assembling the edit, check out Craig.chat which allows you to get the separate audio tracks from your audio session (thanks to Jaku for the tip). The problem with Discord audio is it’s already heavily processed, and its possible to get better sound by recording directly from your audio device with Audacity or other audio software. These tracks can then be synchronized to your Discord audio and edited and mixed. There’s a lot that can be done at this stage, so it may be worthwhile to bring in an experienced audio engineer to put on the finishing touches. It’s important to be practical when considering how to improve the audio for your broadcasts. Purchasing thousands of dollars of equipment is not wise if it’s going to be unruly to use or your broadcast is not recouping the costs. However, with some simple steps, you can improve the presentation of your broadcasts and create a more professional product. If you are looking for some assistance with audio, feel free to contact me.